Making exploring the Red Centre as easy as a few clicks of a button. Browse information and book tours online for your trip to the Australian outback. 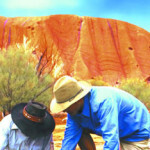 Learn about the vast Northern Territory region including Uluru/Ayers Rock and its rugged surroundings. 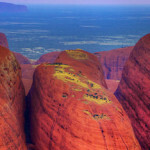 Explore the stunning Red Centre region with an organised tour from around the Northern Territory. Experience the best of the Red Centre with some of these must-see attractions in and around the region. 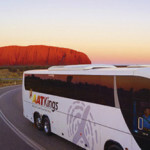 See what options are available for staying at or near Uluru/Ayers Rock in the Northern Territory. Discovering the Red Centre of Australia is a true bucket-list item not only for Aussies but for visitors from abroad alike. With a strong spiritual and cultural history as well as a land of startling contrasts and amazing rock formations, the Outback speaks to people from all walks of live. Our tours aim to immerse you in the atmosphere of all things Australia, whether it’s a trip to Uluru / Ayers Rock itself, or one of the many nearby natural wonders such as Kata Tjuta / the Olgas, Litchfield and Kakadu National Parks, and much more. We’re here to help you have the best experience possible when visiting the Red Centre. Here you will find a range of tours and attractions to experience as well as information on the history of the region, it’s cultural significance as well as accommodation recommendations and suggested itineraries. Our friendly consultants are there to help with any questions or queries you may have. We hope you enjoy your time in the Red Centre! Why book with Red Centre? We have been a reputable travel source for years and as a result can accurately help tourists experience the best of the Australian outback. With our extensive knowledge of the region, we have listed a number of great tours that come highly recommended. Here you will find everything from adventurous and adrenalin inducing activities to relaxing and scenic tours to some of the country’s most iconic natural landmarks. Red Centre is supported by a team of travel consultants who are available to help answer any questions you may have about your tour and time in the Northern Territory. 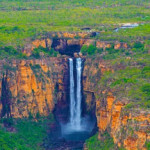 Bringing you great rates and deals on some of the best tours and attractions available, visitors to the idyllic Northern Territory region will be spoilt for choice. Browse through our online catalogue or call our consultants for a one on one chat about your upcoming trip. To begin your journey into Australia’s heartland, book online or give our consultants a call on 1300 935 532.